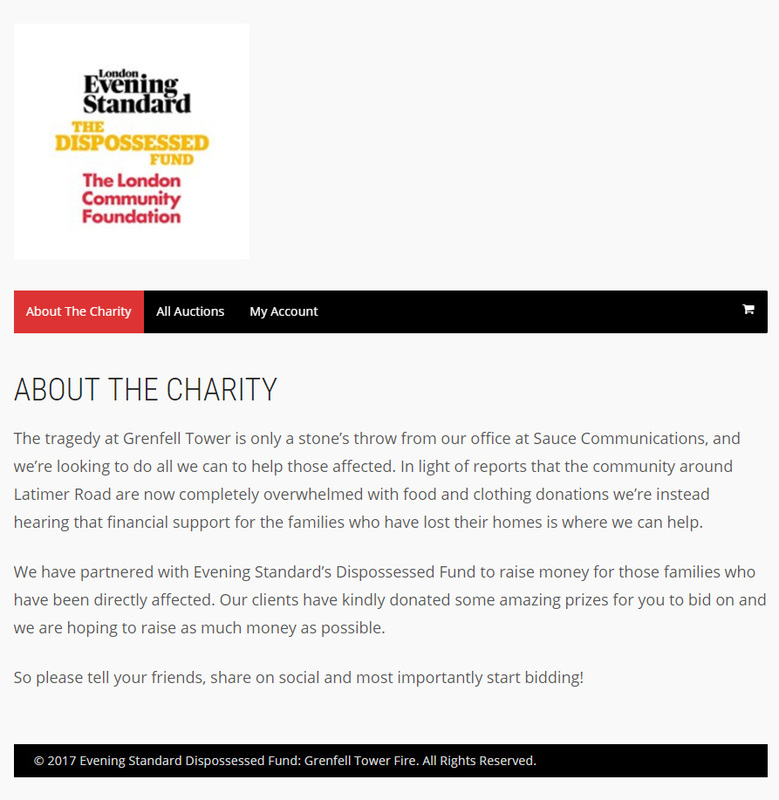 Sauce Communications, a media agency based a stone’s throw from Grenfell Tower, were looking to do all they could to raise funds for those affected by the tragedy that left residents of the tower block without a home. 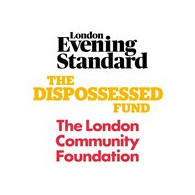 They partnered with the Evening Standard’s Dispossessed fund to raise money for those directly affected. Sauce Communications were lucky enough to have over 20 items donated by their clients to auction off to aid their cause. Some of the items up for auction included a range of gourmet experiences at top London restaurants such as LIMA, OXBO & Mei Ume. As the organisers were not planning on hosting a fundraising event they decided that our online auction service was the ideal solution to help them auction the donated items they had received. After the auction end date and payment arrangements were finalized, the online auction site was built, approved and launched within 5 working days of the initial enquiry. Sauce Communications decided to collect payment through their own PayPal account. To accommodate this payment collection method, the auction site was set up to send winning bidders an e-mail prompting them to make payment direct to the organisers. All 23 winning bids were collected without a problem! The auction proved popular with Sauce Communications supporters and all 23 donated items were sold, raising a valuable £2,032 for a very worthwhile and important cause. We received very positive feedback from the organisers of the auction. The quick turnaround in building the site, the ease of the process & the support we provided throughout the auction were all praised. We were very pleased with the service offered by Fundraising Auctions. The staff were very helpful and approachable throughout the event.